Nazareth House Apostolate introduces Salu Bangura as an assisting photographer to James. He will help James document the work and needs. A relationship between Salu, his family and NHA began with the unfortunate passing of his little daughter, Isha a few years ago. By the time we found out of her injuries, infection had set in and she died of burns after falling into boiling water. Salu makes his living as a photographer. 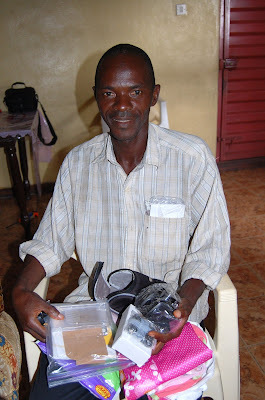 We've noticed his work and decided to assist him by buying him a small digital camera. 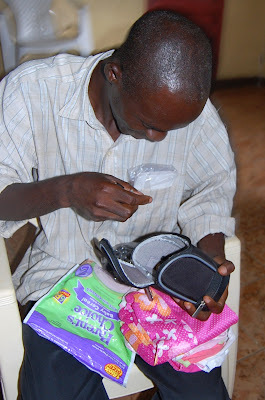 This will enable him to support himself and family as well as benefit NHA with photographs of needs, etc. He lives with his wife and daughter, Salma. They are expecting a new addition to the family at any time. Labor pains have begun and we are waiting for the delivery. 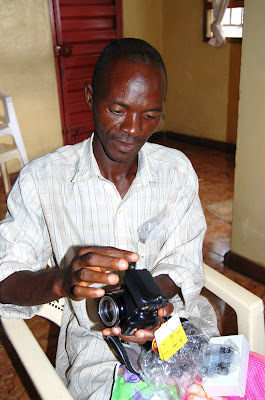 Once we gave the camera to Salu, he immediately set out to work with it. His pictures of the flood capture some of the most compelling sights I have witnessed in some time. 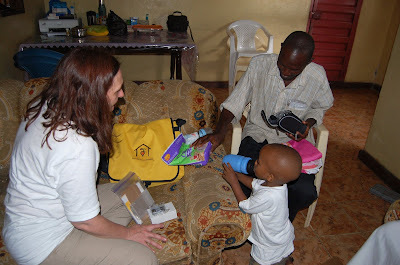 You can find his pictures, as well as others of Kroo Bay from Nazareth House on the following Photo Web Album http://picasaweb.google.com/Salone.news/KrooBay#. Cut and paste or type into your browser to see these sad sad photos.